Make your own MP3 ringtones fast and easy with this app. You can even record a live audio and this MP3 editor can edit and trim the best parts from it for free. Supports MP3, WAV, AAC, AMR and most other music formats. This app is also a music editor, alarm tone maker, ringtone cutter and notification tone creator. The tool is totally secure for downloading. This application has been originally designed by Digitech Tool Apps and it is related to the Video Players & Editors category. 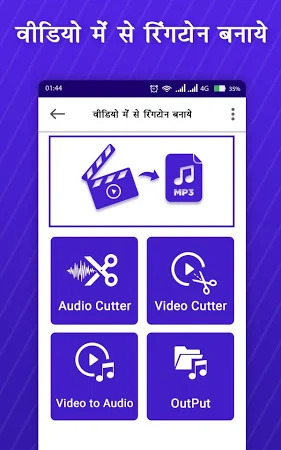 The latest update of Video Me Se Ringtone Banaye was launched on Sep 12, 2018 and the app has been installed by over 1M users. The tool has been rated 4.4 on Google Play. Ads are a part of this application. 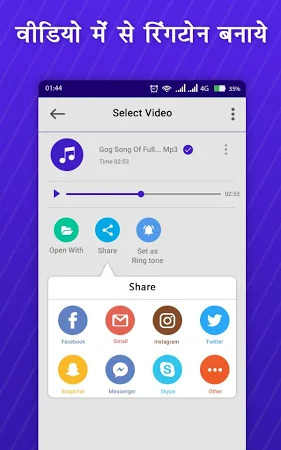 Get the setup package of Video Me Se Ringtone Banaye 1.1 free of charge and take a look at users' reviews on Droid Informer. The app can be launched on Android devices 4.1 and higher. 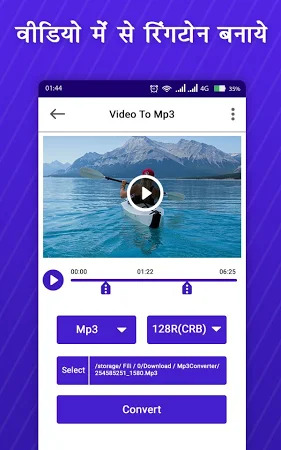 The best All format video player for Android with subtitle support. Convert mp4 to mp3, video to audio, cut video and audio. Video player is one of the best in audio video player category. Best Smart Playlist with audio player for music downloader. Audio Video Mixer. 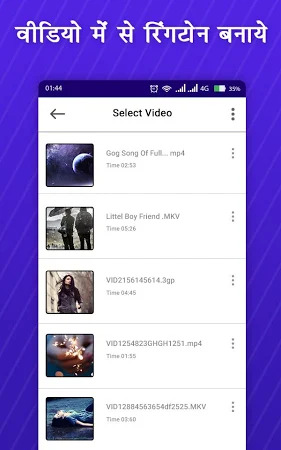 Audio video mixer is one type of video editor app. Love Caller Id is best app to customize caller screen for your love. Record and create your videos on voices of Monsters.